Who Framed Roger Rabbit begins with just a simple, everyday, normal credit sequence. Credits appear in white over black, a jazzy, noir-ish score plays. Nothing out of the ordinary. Then BAM! The soundtrack scratches and the upbeat, zany, looney toon music blares. Like a wakeup call, the audience is shaken out of their normalcy. This isn’t just another movie. When Roger Rabbit premiered in 1988 it was both innovative and wildly funny, boasting an all-ages appeal, and a never since replicated feat of gathering multiple properties from rival studios together in one film. It was film history being made. The movie is a noir-esque tale. A private eye story, set in the gritty city (Toontown), even featuring its own femme fatale in Jessica Rabbit. With the conspiracy plot centered on urban and political corruption and suburban expansion, the film relishes its noir history, evoking films such as 1974’s Chinatown. But hey, it’s still a kids’ movie, after all, there’s cartoons all over the place. 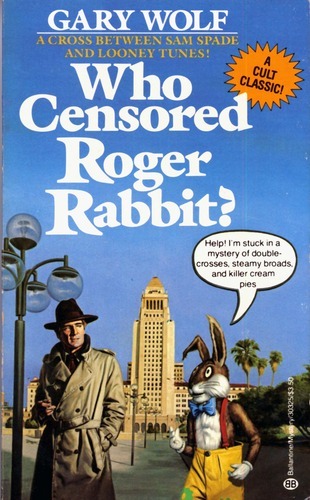 Walt Disney Productions purchased the rights in 1981 to the novel, “Who Censored Roger Rabbit.” The studio then brought in Steven Spielberg to executive produce through his production company, Amblin Entertainment. Spielberg, having just worked with Robert Zemeckis on Back to the Future (but before beginning production on its two sequels), brought him aboard to direct. Zemeckis, still a young director at the time, had an interesting and limited history. In his early film school days, he applied only to USC (University of Southern California) with an essay and music video. He was told he wasn’t accepted because of his average grades. Unsatisfied with the response, he made an impassioned plea to the admissions officers and the school eventually accepted him. In his time at USC he developed a friendship with Bob Gale, who later said of their time at the school, “The graduate students at USC had this veneer of intellectualism… So Bob [Zemeckis] and I gravitated toward one another because we wanted to make Hollywood movies. We weren’t interested in the French New Wave. We were interested in Clint Eastwood and James Bond and Walt Disney, because that’s how we grew up.” Years later, having won the Student Academy Award for his student film, Zemeckis barged into Steven Spielberg’s office one day with his film in hand. His blunt manner and willingness to fight for his opportunities paved the way for Spielberg to become a mentor. Spielberg would also executive produce Zemeckis’ first two films, which were co-written with Bob Gale. His first two films were critical and commercial flops, and the studio feared the same from his third outing as director on Romancing the Stone, leading them to fire him from his next planned film Cocoon before production even started. However, the surprise success of Romancing opened the door for Zemeckis to choose his next project, Back to the Future, which paved the door for Spielberg to then recommend him for Who Framed Roger Rabbit. Actress Betsy Brantley as a stand-in for Jessica Rabbit. In reality, Roger Rabbit is one of those movies that today could never be made. And even at the time, it seems impossible that Who Framed Roger Rabbit did get made. It was a complicated production, both technically and in terms of the multiple properties that would need to be licensed to achieve the authenticity of the story, using real cartoon characters from history. The film was beset by problems, not just issues with licensing. Spielberg was instrumental in the licensing negotiations, however. Working closely with studios such as Warner Bros. Fleischer Studios, Felix the Cat Productions, Turner Entertainment, and Universal Pictures, Spielberg’s name and smooth negotiating convinced the separate studios to “lend” their characters to the production at an unbelievable flat rate of $5000 per character. That was it. No backends, no residuals, just a one-time flat fee and some good will. And, a few additional stipulations on behalf of the studios for some of their major properties. For instance, Warner Bros. stipulated that their characters such as Daffy Duck and Bugs Bunny must receive equal screen time, dialogue, and billing as Disney’s Donald Duck and Mickey Mouse. Spielberg’s feat was unparalleled in Hollywood business history, and he was rewarded well for his efforts, his contract included extensive creative control and a large percentage of the box office profits. Disney maintained merchandising rights, of course. The film’s production was notoriously over-budget and over-schedule. Disney balked at the originally projected $50 million production and greenlit the film with a $29.9 million budget – even at that cost it was the most expensive animated film ever greenlit. During production, when the budget had escalated past $40 million, Disney’s President at the time, Michael Eisner, nearly shut down production. Jeffrey Katzenberg (now head of Dreamworks Animation) was in charge of Disney Animation at the time and was responsible for talking Eisner out of shuttering production. Spielberg’s draw was said to have helped assuage him as well. Katzenberg argued at the time that hybrid live-action plus animation would save Disney Animation’s ailing, pre-renaissance department. Technically, the film was quite the achievement as well. The production utilized VistaVision cameras, a higher resolution, widescreen variant of the 35mm format, some of the same techniques used in VistaVision eventually evolved into 70mm IMAX formats. The cameras were also equipped with motion control technology, allowing for scenes to be shot with the same movements and focal lengths multiple times. On set, rubber mannequins stood in for main cartoon characters to establish sight-lines and give the actors something to act against. 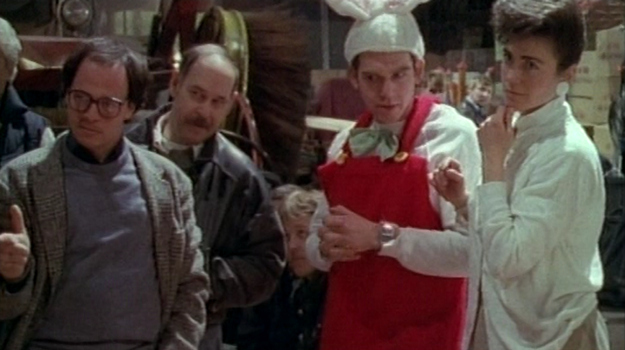 However, the voice of Roger Rabbit, Charles Fleischer, insisted on wearing a Roger costume on set and acting out his lines off-camera. Filming, which began on December 2nd, 1986 lasted seven months, with an additional month in LA at Industrial Light & Magic (ILM) for the necessary blue-screen Toontown effects. Charles Fleischer, the voice of Roger, on set in costume. Post production lasted an additional 14 months, with one of the biggest challenges being rotoscoping all the live action sequences (drawing animation cells over all the live action footage). 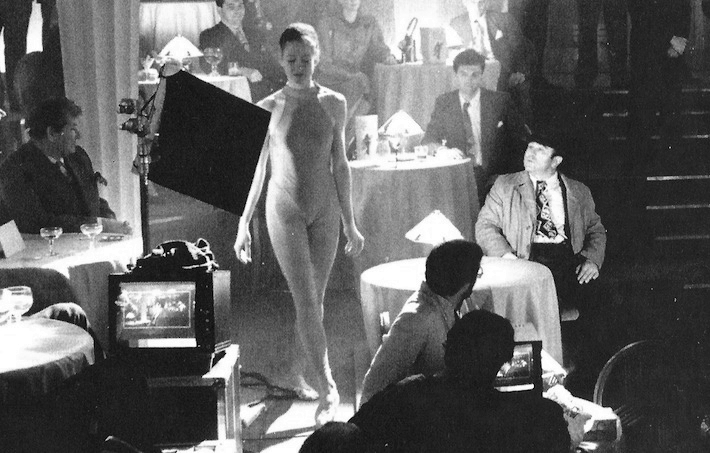 This proved even more challenging than the technique would otherwise be because of Zemeckis use of dynamic camera movements and the large amount of action shots. ILM also added to the process by completing three lighting layers that were optically printed onto the animation (adding dimensionality), subjecting the characters to the same lighting that already existed in the filmed live-action sequences. As anyone who’s seen the film knows, it’s tone is quite dark. Though it plays for children, the darker elements, sexual innuendo, drinking, guns, and violence, aren’t the typical fodder for children’s animation. Given the dark nature of the film, and Zemeckis (with Spielberg’s support) unwillingness to adjust the tone, Disney opted to release the film through its Touchstone Pictures banner on June 22nd, 1988. It opened to $11.2 million on only 1,045 screens, going on to earn $156.5 million domestically and an additional $173.25 internationally. Who Framed Roger Rabbit was the second highest grosser of 1988 behind Rain Man. Zemeckis, of course, would continue to embark throughout his career on technical advancement and experimentation. Not only with the mixing of live-action and animation, but he has also been one of the instrumental directors pushing forward the advancement of performance capture CGI and 3D, with films such as Forrest Gump, The Polar Express and A Christmas Carol. His desire to continually blur the lines between animation and reality has, in fact, become a career-long venture. And, of course, a lot of it began with Roger Rabbit. 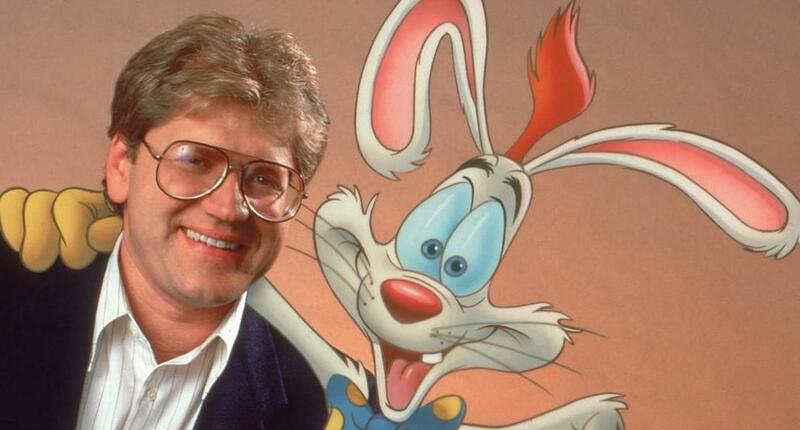 Director Robert Zemeckis with Roger Rabbit. Who Framed Roger Rabbit was a rare culmination of business practices, technological achievement, and innovative storytelling. The ridiculously expensive, ultimately $70 million budget, film would go to become a massive grosser, while also winning four Academy Awards, including Best Film Editing, Best Effects (Visual) and Best Effects (Sound Editing), in addition to a Special Achievement Award for animation direction by Richard Williams. The film also received nominations for Best Cinematography, Best Art Direction, and Best Sound. But what the film achieved then is perhaps inconceivable to this day, with the exception of Disney’s recent, Wreck-It Ralph, which perhaps utilized Roger as a template for the teaming of its multiple company gaming properties. But to this day, Roger Rabbit stands as a marvel of studio cooperation, and animation innovation. While the film has aged, the marvel is how easily it can still be enjoyed by all ages. See the innovations made with Who Framed Roger Rabbit, now showing on HDNET MOVIES.